On the coverage about tornadoes and building practices recently, there was an engineer at one of the universities who said, it isn’t that we can’t build to be hurricane and tornado proof – it is the cost of doing it. And, I’ve been thinking about that. At one time in America, it was important to build buildings and houses to be lasting safe harbors for human lives to unfold there – and for generations beyond the one in which it was built. But, in my lifetime, those buildings and housing practices as well as the foundation principles behind them – changed to be a quick result, cost-cutting, corner cutting, lick it and stick it principle of building with limited life terms expected for those structures. Building and houses aren’t being built to withstand real life conditions anymore and haven’t been being built that way for a long time now in America. The generations of people living in these structures now or going to work and to school in these buildings within their community are the recipients of places that are not safe, do not withstand storms and high winds, are structurally deficient, costly to upkeep or remediate, and impossible to survive during many commonly occurring events today from tornadoes to hurricanes to floods to wildfires to earthquakes to surviving the normal aging conditions of those structures. Across the nation, we have invested in my lifetime in building things that won’t last and aren’t even intended to last. The bigger cost of this practice aside from the tremendous loss of life that it causes, is that now those structures have to be retrofitted, remediated or knocked down and rebuilt. It is a total waste and an unnecessary danger. People believe they are safe in their homes, that their children are safe in their schools, that their loved ones are safe in hospital structures, and that they are safe in the buildings where they work – but in a variety of ways, these beliefs have been shown to be ill-conceived. When a storm surge comes, those inside many structures are endangered although they rest inside as if it cannot hurt them and make decisions to stay based on the idea that their home, business building or nearby structures will stay intact and are safe – when in fact, they are not safe nor even built to be safe in such an event. When high winds from tornadoes or hurricanes, from blizzards, nor’easters and heavy thunderstorms come, people hide in their homes as if that will afford protection to them and their families. But when these structures were built within the last fifty years, very few of them were built with hurricane straps, glue and screw methods, reinforcement of any kind, external wall reinforcement or in many cases, any basement, storm shelter or safe room against extreme weather events. Often in my lifetime, town and city councils removed requirements from building codes that would have required basements or storm shelters as well as removing restrictions on building areas that would have prevented development from being built in flood plains, or where marshes take up the storm surge along coastal flood zones. In one area of Metro Atlanta, a twenty foot wall of water overtook several developments with hundreds of homes and many, many businesses because the known flood plain near a river had been developed rather than set aside. So, not only were all of those lives and families put at risk and endangered to an extreme degree, but every single house had to be bought back to allow people to go live somewhere else. It was a complete loss of their belongings, their money invested in their homes and community as well as destroying the business and community structures put into the same area. It was nothing but a massive loss with injuries and loss of lives unnecessarily as well. The area was known as a flood plain well ahead of time before any development was made there. Absolutely none of the homeowners or decision-makers for businesses that relocated there were told of the fact that flooding was likely, sooner or later – and why flooding would be likely. From a structural engineering team that examined damage from storm surges in Staten Island, NYC, NJ, CT from Hurricane Sandy last October (2012). Another impact of Sandy was widespread pollution caused by floodwaters carrying a variety of toxic chemicals, petroleum, and fluids from cars and boats. In addition, floodwaters in Manhattan carried contaminants from inundated subways and tunnels, roads and parking lots, and floodwaters in industrial areas, such as Kearny and Secaucus, New Jersey, carried contaminants washed from shoreline industrial sites as well as commercial and residential buildings. These hazardous floodwaters, combined with sewage overflows, led to contamination in several neighborhoods along the coast. Above notes that almost all flooding dangers in the US are compounded by commercial and industrial chemical pollution as well as sewage pollution being added to the waters of the storm surge, rising waters or flood. When codes that define how these are to be stored, contained, protected, and public safety protected from them are not enforced or are changed to reflect lower standards, these elements contribute significant dangers to an otherwise difficult flooding situation. This building may as well have not existed at all for any protection from a storm. In fact, the building materials became as dangerous, if not more so – than the storm winds from the tornado since everything in it became shrapnel and life ending projectiles. It offered no protection from the storm for anyone who may have worked there or been customers there when the tornado hit. I am all for designing new things, inventing and innovating, but where there are things available to solve problems which are simply not being utilized – why create another something for it? From the storm shelters and safe rooms which are available to people in Oklahoma and across tornado prone areas that aren’t being added to homes and schools to reinforcement strategies, materials and methods for buildings in need of them not being used, decisions are being made that, far in advance of dangerous situations, are contributing to the loss of life and injuries during those events. In one thing I read several years ago, it said that 85% of buildings in New York City are made of unreinforced masonry – that the beautiful old brick buildings throughout the city are not reinforced in any way. During the recent Moore, Oklahoma tornado, it was obvious that the school was not a reinforced structure either, nor was the hospital there which had the entire second floor ripped from it. There were pictures from the end of last week’s tornadoes including one that attacked near St. Louis, Missouri that indicated a high school’s damaged walls and in those photos, it is obvious there were two brick walls as if a facade had been added over the existing brick building – neither of which were reinforced in any way. The yield of those decisions to not reinforce that structure even when a second facade was being added meant a pile of bricks and bricks as moving projectiles, dangers falling not only from above but in a spray outwards from the building, and had their been lives in that area of damage – potential loss of life and injuries as a result. PHILADELPHIA, June 5 (UPI) — A number of people were trapped Wednesday after a building collapsed in downtown Philadelphia, officials said. Watching the weather over this last week with its tornadoes and sudden severe weather events that killed people, sucked them from their cars and destroyed homes and structures made it clear that the weakest link in the path to safety for everyone is in the lack of common sense, knowledge, understanding and social context of individuals making decisions. People in Oklahoma literally clogged interstate freeways in their cars during the time tornadoes were coming down upon them. Early reports from the Moore, Oklahoma tornado earlier in the week had indicated that many people held the belief that tornadoes would not affect large populated areas because they thought there was a “bubble” or heat / air current bubble of some kind over cities that made tornadoes go around them or be dissolved before hitting cities and suburbs. To find that idea believed by many in an area so prone to tornadoes is horrifying. That many people believed a couple days ago that they could outrun tornadoes dropping into and tracking across their city by getting on the interstates in their cars – is even more horrifying. The National Weather Service and media outlets from The Weather Channel and CNN to every local news station made it clear that these storms would produce tornadoes specifically in the areas where they did form and tear up everything in their paths. It was not unknown information, but between the day of the Moore EF5 tornado and the next set a couple days later, people interviewed in the area under new threat of tornado acted very cavalier about it saying a couple notable things – one, that they had lived in Oklahoma and know about these storms and what to do – and two, that they were going to go on as if nothing weather related was in the way of that because they had to continue living their lives without being afraid of it all the time. However, there was one other prevalent idea, as well that came through in people’s attitudes, comments and interviews – that they did not have a safe room or storm shelter in their house although they knew the only safe place in these tornadoes which are common to their region – is to be below ground in one. That said, there were a number of deaths and many, many injuries caused by people being in their cars when those tornadoes hit this week. There were flooded streets that people tried to cross anyway which caused those in the fast moving water in their cars to be drowned and rescuers that drowned trying to get to them. There were injuries made worse and possibly even fatalities as a result when clogged interstates where people were hurt could not be accessed by emergency personnel because of the massive standing traffic there. A woman on the Weather Channel today being interviewed about the tornado that hit her home said that their storm shelter put into the foundation when the house was rebuilt had cost very little – around $2500 and yet, since the 1999 tornado that decimated Moore, Oklahoma – apparently very few homes were rebuilt with those storm shelters or safe rooms. Along with that, with over 1.6 million homes in Oklahoma for instance and tremendous numbers of other structures for business, industry, government, schools, churches, hospitals, nursing homes, libraries, hotels, malls, etc. – there are fewer than 12,000 total storm shelters and safe rooms throughout the entire state that FEMA records having helped to install or build. Individual homeowners from the point in 1999 when it was known the kind of vast and massive damage that could occur from tornadoes until 2013 – fourteen years later, have made choices to not invest in that protection of a storm shelter or safe room and despite all knowledge to the contrary – have believed they would be safe sitting in a fiberglass bathtub in their bathroom or in some small interior closet during a tornado – or in their car. All of that fails the common sense test which any look at the devastation of homes from these tornadoes offer to anyone. The hospital in Moore, this week had the entire second floor ripped off of it – how could it have been built not to properly withstand these storms? How could any school in the states commonly affected by tornadoes, not have a safe room available to the 600 or more students and faculty who must be there for significant portions of their day, every day even during times that these storms can develop tornadoes and drop them on their schools? To be honest – I’ve watched it become fashionable in my lifetime for people to ignore the dangers of weather, whether it is a blizzard, a flood situation, flooded streets, hurricanes, storm surges, swollen flooded creeks, lightning, sudden extremely heavy rain events, extreme heat events, sandstorms, wildfire and exceptionally dry conditions, landslide possibilities and although it isn’t extreme weather – earthquake dangers. I watched New Yorkers walk to the store during the heaviest winds and rains of it because they just had no respect for what those wind gusts could drive into them or across them without warning. I’ve now watched helicopter pictures on the tele of massive numbers of people on several interstate freeways in a traffic jam in Oklahoma City while tornadoes descended upon them tossing their cars into a twisted heap of metal, injury and even death. There have been horrifically countless times across our entire country where people have driven into flooded streets to end up swept away with its currents into even more flooded areas when they should never have been there in the first place and there have been plenty of warnings to “Turn Around – Don’t Drown.” I watched videos and news accounts during massive sandstorms in Arizona as people drove into them intentionally trying to get a better look at it to put on YouTube and out of curiosity with clearly visible in their videos – many others driving around doing the same thing – and then reports of cars overturned, traffic pile-ups and other unnecessary losses of life, limbs and property as a result. They should’ve never been out there – just as people went into the NY Harbor before the Hurricane coming in upon them to kayak despite the chaotic waves and currents known to be there before the storm even made landfall. I’ve watched people in New York tell everyone from the news and weather experts to individuals who have experienced tornadoes, hurricanes and storm surges that their knowledge of New York took precedence over anything anyone could say to add to that knowledge and those things would not impact New York City in the ways people were telling them ahead of time. No one could tell them any different in any manner that made any sense to them – without them discrediting that information – and I watched the same thing happen this week as reporters spoke with people in Oklahoma prior to the storms dropping more tornadoes on top of them. They know about tornadoes and flooding, there isn’t anything that can be added to that knowledge since some times in the past when a tornado spawning event occurred, it went around them or because some of the times that the National Weather Center called tornado warnings in an area, those events were minimal in damaging only a few things a bit, such as tearing some roofs off down one stretch of road or knocking over some barns or flooding a few streets with a few inches of water which quickly retreated. In some of the information used by local and state officials to assess the risk of tornado events to areas of Oklahoma – (and there are the same things for every other area of the Midwest and Deep South) – the numbers are so skewed in their statistical interpretation that it makes it look like those events would be somewhere in the neighborhood of “unlikely” rather than “likely”. But, common sense says it is likely that these storm events will spawn tornadoes and even flooding throughout all of these states of the Midwest and Oklahoma, in particular since that state has the most serious tornadoes and the highest number of those serious tornadoes every year since records have been kept. It is a set of known facts that storm shelters, properly reinforced basements and safe rooms can and do save lives. It is proven by countless studies made by engineers, scientists and academics that the only safe place to be during a tornado is under ground in a storm shelter, basement, storm cellar, or in a reinforced safe room. It isn’t a maybe. It is also known that driving into flooded streets is wrong for life and limb. It is known that hurricane and tornado force winds can drive any and every thing into car windows, into walls and into the human body. It is known that any car, truck, 18-wheeler, heavy crane, heavy equipment, farm equipment, bulldozers, SUV, any vehicle can be sucked up into the air by a tornado, can be swept off by moving water, can be overturned and crushed by tornadoes and strong winds – these are definitely NOT SAFE places to be. And yet, people ignore that and believe that to be unruffled by it all and to not take cover or even to go get in their car to go drive around during the extreme weather means that they are somehow doing the right thing. It used to be that we could not predict the weather well enough to warn people. And, admittedly some events unfold faster than others with tornadoes that is true in one way, but not in another since the storm cells that create those tornadoes can be interpreted as having that danger before the fact now. Landslide dangers are known after wildfires and heavy rains, flooding can be expected by any reasonable person after heavy rains locally or regionally where those events are feeding into streams and rivers. But more so – our media outlets tell of these things nationally conveying them to every area of the country whether it is severe dry, wildfire dangers in an area, swollen rivers that are likely to be flooding in the days ahead, massive storm cells approaching that can and likely will produce tornadoes, lighting, hail and heavy rain – and between every manner of media outlet these are being conveyed to the public. And, yet, people at their workplaces are coming home into events saying they didn’t know. Truckers and other drivers are seen driving directly into the tornadoes on the ground (in videos that can be seen from the news and on YouTube where fellow drivers clicked it with their cellphones). This week two women likely drowned and their rescuers including a sheriff and Fish and Game officer in Arkansas drowned trying to save them when their vehicle should have never even been in that situation at all. Pictures show that people were driving around Oklahoma City well into the night despite traffic lights being out and some streets severely flooded and amidst continuing heavy rains after tornadoes had ripped through several areas. There is no good reason that they would have been in their cars running around in it and more accidents were caused by them doing it than even the storm itself caused. Those things among others like the 22 year old mother who left her two children for eight hours locked in her car while she worked which killed one and critically injured the other – along with a vast number of other children’s deaths from this same thinking that caused people to leave them locked in their car rather than taking those children into wherever with them – give me a very bad feeling that none of this can be fixed. campaigns to let people know of these dangers and the actions to take that will insure their safety against these dangers are either being ignored or discredited – maybe everyone thinks that doesn’t count for them or that it isn’t fashionable to take things that seriously. A person I met at the Memorial Day weekend barbecue said he used to be safety conscious but not so much anymore – he had decided to just not worry about it. And, although he was talking about these larger events like the storm surge and hurricane Sandy – I said that I just can’t help caring about safety and choose to do so – then I went and put the potato salad sitting in the sun onto a bowl of ice and moved it into the shade. But then, I’m the one that is crazy – I can’t afford the luxury of being stupid too. The twisters and heavy rains that swept through the area Friday evening flipped cars and trucks on interstate highways and swept up vehicles in deep flood waters. The National Weather Service confirmed today that at least five tornadoes touched down Friday around Oklahoma City. The strongest of the tornadoes registered as an EF-3 south of El Reno. Officials said today that at least seven of the nine people killed by the storm were in their cars, including a mother and her baby. “They were traveling on the interstate and their car was sucked up into the tornado and they were sucked out of their car,” Oklahoma Highway Patrol Trooper Betsy Randolph said. Brittney Downing, 22, has been charged for leaving her 18-month-old son and 2-month-old daughter alone in the vehicle for the duration of her shift Sunday because she couldn’t find a babysitter. We have breaking news on the program. Coming up at the top of the hour, more storm warnings across Oklahoma today, including the town of Moore which was so hit by the deadly tornado earlier this month. We’re going to live to CNN’s Chad Myers who is in the middle of it, chasing a storm with a possible tornado on the ground near him. Ominous weather, look at that. I want to bring in Jim Routon. Jim Routon is on the phone with me, because he lives in Moore, Oklahoma. Jim, you survived that EF-5 tornado last week. Thank goodness your home is still standing. I understand you were just helping friends with cleanup today. Where are you right now?JIM ROUTON, RESIDENT OF MOORE, OKLAHOMA (via telephone): Right now, I’m located just east of Briarwood Elementary on 19th Street and Santa Fe. And we’re just down here. Had several people that — friends of mine that have lost their homes and we were just down there kind of helping with the cleanup process and cooking some food for the cleanup workers and the utility linesmen and stuff like that. BALDWIN: So you’re helping out. Are you in your car right now? ROUTON: I’m taking her and my daughter, J.C. (ph), and my two nieces, J.C. and Lexi (ph), over to the church, to Central Church of Christ, to volunteer to help pass out some supplies and medical supplies and food and stuff like that.BALDWIN: So it sounds to me, Jim, that you have a full car, and you are going on as business as usual, despite what we are reporting with these active tornado warnings and the storm heading towards Moore. U.S. Census Bureau 2000 Census. It is now 2013 – I bet there are a few more than that. The 2012 estimate for the population of Oklahoma was – 3,814,820 people. FEMA spokesman Dan Watson told Homeland Security Today that FEMA remains a strong supporter of public safe rooms. Watson called the State of Oklahoma “a great partner” in providing innovative mitigation solutions to residents, and characterized the state’s SoonerSafe Safe Room Rebate Program as a model for supporting the construction of safe rooms through the HMGP program. The SoonerSafe-Safe Room Rebate Program provides a 75-percent rebate — up to $2,000 — to eligible Oklahomans who install above-ground or below-ground safe rooms. The program delivered more than $1 million in rebates to eligible homeowners in 2012. But a senior FEMA official, who spoke to Homeland Security Today on background, said at the end of the day it is the state and local authorities who are, by law, responsible for prioritizing mitigation projects and spending. But even in “tornado alley,” a large region of the plains that stretches from the Texas Panhandle to South Dakota, where dozens of life-threatening twisters are a near certainty every year, preparedness often comes down to state and local investment decisions. And as seen by the deaths of seven children at the Plaza Towers Elementary School because it was not equipped with a storm shelter, the sluggish nature of state, local and school board politics often leads to tragedy. In 1999, the Federal Emergency Management Agency (FEMA) began the Oklahoma Residential Shelter Initiative. The rebate program was funded with $12 million in federal hazard mitigation funds. It resulted in the creation of 6,016 safe room shelters throughout Oklahoma. In 2003, Oklahoma authorized Operation Safe Room, which was a similar rebate program giving more than $3 million in rebates by paying 75 percent of the cost of a storm shelter, up to a $2,000 maximum. Residents were given 30 days to register with the program and had to complete construction within 14 months. That same year, the Tornado Shelters Act authorized the use of community development block grant funds for the creation of tornado shelters in manufactured home parks. Kiesling said he expects building codes will “eventually” change to require all new schools to be equipped with a safe room, but it will be a long process. In fact, a provision in the 2015 International Building Code (IBC) would require all new schools and emergency response facilities in high-risk areas to be equipped with safe rooms. Homeland Security Today’s review of meeting minutes from the Oklahoma Uniform Building Code Commission dating back to 2009 confirmed the lengthy, sluggish process by which building codes are changed — even for the most high-risk areas like Oklahoma. Commission meetings, even those focusing on the adoption of standards for the construction of safe rooms, often revolved around debates about whether to issue new rules or wait for the 2015 IBC. He has requested (in July of 2011) a legislative study to determine how the state can better incentivize greater access to storm shelters during severe weather. Why would any more studies be required when it is known that storm shelters, storm safe rooms and public EF5 tornado resistant structures save lives and keep people from the vast number of injuries that can leave them permanently maimed and disabled from the few minutes of a tornado event? The decision-makers know what works. States have been receiving money from FEMA grants to their State Hazard Mitigation Offices and State Budgets every year since somewhere before 1999 without distributing those funds in any reasonable nor appropriate way to get those storm shelters and safe rooms provided to people in their states. That is a problem. Not even schools have these safe shelters from storms – including over 1700 schools in Oklahoma. Is everyone supposed to move to where the 100 schools exist in Oklahoma that have been provided safe rooms for their students, faculty and staff? Over 1.4 million households – over 1.6 million houses – in Oklahoma and there are how many with shelters, basements or safe rooms? on four levels of severity. FEMA’s Mitigation Directorate is responsible for programs that take action before a disaster, in order to identify risks and reduce injuries, loss of property, and recovery time. The agency has major analysis programs for floods, hurricanes, dams, and earthquakes. FEMA works to ensure affordable flood insurance is available to homeowners in flood plains, through the National Flood Insurance Program, and also works to enforce no-build zones in known flood plains and relocate or elevate some at-risk structures. Pre-Disaster Mitigation grants are available to acquire property for conversion to open space, retrofit existing buildings, construct tornado and storm shelters, manage vegetation for erosion and fire control, and small flood control projects. According to a Weather Channel Report called, “Oklahoma Tornado Tragedy” which was broadcast this week – Oklahoma has 100 schools with safe rooms which were at least partly paid for using Federal dollars offered for this purpose – supposedly $54 million dollars has been given to Oklahoma since after the 1999 f5 Tornado from this Federal program to build storm shelters and safe rooms – but there are only 100 schools in Oklahoma today with these safe rooms and over 1700 schools that have no safe room or storm shelter at all. Should Schools in Tornado Alley Have Safe Rooms? In recent years, several states have added more safe rooms to school buildings. New school buildings are also incorporating these rooms into their architectural plans. FEMA notes that after a deadly 1999 tornado in Kansas, a movement began to build tornado shelters in that state’s schools. FEMA awarded the state grants, and Congress appropriated money. Arkansas, too, began a similar program in 2002. In Sebastian County near the Oklahoma state line, 19 shelters are in public schools. According to a 2008 report, more than 162,000 children, teachers and local residents in 68 Arkansas school districts now have shelters to protect them. According to state agencies, the cost for these shelters was just $400 per child or a total of $56 million. In Oklahoma, more than 100 schools have safe rooms or storm shelters. Some districts have justified the cost by having the room serve a double purpose, such as the school library. David Cockrill, CEO of Red Chair Architects in Knoxville, Tenn., told TakePart that all schools in the Midwest and South should have safe rooms. But that often that doesn’t happen because of the cost to build them and other variables, such as the likelihood a killer storm will strike. The City’s safe room rebate program is still “on hold”, with not a lot changed from our update of last May. Our county-wide Hazard Mitigation Plan still has not been approved by the State and FEMA. There were changes to the Federal requirements for this plan that occurred while our contractor was writing the document; he has had to rewrite it. We’ve found that the FEMA requirements and their interpretations seem to be a constantly moving target, more so with the new wrinkles. We’re still working out various wording changes with the State reviewers and hope to submit the final document in March. However, the Plan is not our main obstacle. The Federal grant program which funds local initiatives such as ours is funded by monies set aside during Presidential major disaster declarations. Oklahoma has had few of these declarations in the past couple of years, so there is not a lot of grant money available. Once our Plan is approved and grant funds become available, we will certainly proceed with our rebate program application. In October 2011, the City of Moore solicited names and addresses of Moore residents interested in receiving federal grant monies toward the installation of a Safe Room or Storm Shelter. We were required to collect the data prior to submission of the City’s application to FEMA. For the City of Moore to be eligible for the federal funds, we are required to have a FEMA approved Hazard Mitigation Plan (HMP) on file. The City collaborated with other communities in Cleveland County on the HMP and it was approved in September 2006 and expired in September 2011. The communities of Cleveland County began the revision process of the new Hazard Mitigation Plan during the summer of 2011. The Cleveland County HMP is expected to be completed this month and will then be submitted for approval by the Oklahoma Department of Emergency Management and FEMA. This approval process could take at least 5 months. We anticipate a final approval date of November 1st, 2012 at the earliest. If the grant application is approved and funded and the HMP is approved then we will we contact the original applicants to ensure they still interested in receiving grant funds and have not been funded by another program. The grant will not pay for shelters that have already been installed. The City of Moore collected information from citizens during the month of October for the local Safe Room Rebate program. The State of Oklahoma is still accepting registrations at www.soonersafe.ok.gov. It is the desire of the City to assist persons who are in Moore to have a place to seek refuge from severe weather. To this end, the City is gathering interest forms as the first step in applying for a hazard mitigation grant from the Federal Emergency Management Agency. We intend to apply for 2 million dollars in FEMA funding which will assist approximately 800 Moore homeowners. This particular rebate program is for residential homes. Rental and/or commercial properties are not eligible. If a homeowner is chosen for the program and the City is successful in securing FEMA funding, the homeowner will be eligible to receive up to $2500 in rebate upon installation and verification of final paperwork. All registration will be completed online at the website www.soonersafe.ok.gov. This is the website for the State of Oklahoma’s Sooner Safe program; all persons who live in Moore and register prior to November 1st will be eligible for both the State program and the City of Moore’s program. If needed, assistance in registering may be provided at Moore City Hall, 301 N. Broadway, during normal business hours. In addition, Cleveland County is offering a safe room rebate program as well. Registration for their program can be accomplished at www.ccok.us. Note that this is a separate program from the City of Moore program and the State program, and requires a separate registration. Homeowners are urged to register for Cleveland County’s program as well as the State’s and the City of Moore’s. Information concerning the City of Moore Safe Room Rebate Program may be found online at the City’s website, www.cityofmoore.com. For details about this program Click Here. What is 800 homeowners times a rebate of $2,500 – is that really $2 million dollars? The City of Moore has no community (or “public”) tornado shelters. This is due to two factors: Overall, people face less risk by taking shelter in a reasonably-well constructed residence! There is no public building in Moore which has a suitable location for a shelter. Too stupid for words. Apparently there is no high value given to human life in these places. 1. Moore homeowners complete online registration at http://www.soonersafe.ok.gov from now until October 31st, 2011. 1. The City of Moore will receive a data file of registrants and review these for eligibility. This review will verify location within the City limits; that the registrants are homeowners and this is their primary residence, etc. 2. The city will choose at random 800 primary registrations and 200 alternate registrations. Note that all registrants will remain eligible for selection in the State’s Sooner Safe program until such time as notified by the City that they have been selected and confirmed as part of the City’s program. 3. The City will process each chosen registration to determine eligibility for Federal funding. This includes information concerning environmental issues, historical significance of the property, location with reference to floodplains, etc. 4. The City will use the primary and secondary locations to complete and submit a grant application with the Federal Emergency Management Agency. 5. At this point, we await approval from FEMA. DESOTO COUNTY – At least 70 DeSoto Countians have been approved for federal storm shelter grants that reimburse local contractors for construction of storm shelters. The federal Storm Shelter Initiative grants, formerly known as Tier II grants, are funded through federal monies appropriated in the wake of Hurricane Katrina in 2005. Similar grants were funded for the construction of local storm shelters following devastating tornadoes in the Lewisburg area in 2001. District 3 Supervisor Bill Russell said individuals need not apply for the $199,500 earmarked for storm shelters this year but can submit their names to be included on a backup waiting list. Under the grant program, the federal government will pay up to $3,500 for the construction of shelters. Individuals must secure contractors on their own. DeSoto County is included in the so-called “tornado alley” that encompasses much of the upper Mississippi River Valley. Supervisors Tuesday also learned the county is in line to receive seven new generators, and a total of 45 sirens. Curtis said rural unincorporated DeSoto County stands to receive 20 sirens, with the five municipalities receiving four to six sirens each. Put another way, there’s a very small likelihood of Moore being struck by a tornado. There’s an extremely smaller chance of Moore experiencing another “May 3rd” type event. If we are struck again, it will very likely be by a much less intense storm. Sheltering in your residence – assuming it is a reasonably-well constructed home – is the best option. The opinion of our emergency management severe weather professionals is that community sheltering is not only not possible in our situation, but not advisable. Statistically, there is only about a 1-2% chance of a tornado – of any size – striking Moore on any particular day during the spring. But of all tornados that do strike us (again, not very many historically), there’s only a less than 1% chance of it being as strong and violent as what we experienced on May 3rd, (1999). Yeah, right – well statistically, it only takes one massive tornado to kill a person – but there were more tornadoes than this recent one and the one in 1999 which have hit these areas of Oklahoma which has the highest number of tornadoes in the plains on average and the greatest number of massive ef4 and ef5 tornadoes in the nation. In a March 22 story, the Tulsa World reported Oklahoma had 102 tornadoes in 2010 – the most since 1999 when 142 tornadoes were recorded that year. This was the fourth time in state history the number of tornadoes hit triple digits within a single year. Nearly half of 2010’s tornadoes occurred on one day – May 10 with at least one touching ground in Osage Country near Burbank, the weather service reported. The bill’s passage also comes one week before a violent storm system swept across Oklahoma, which spawned at least 21 tornadoes statewide with two reported in Osage County near Hominy and Burbank. No injuries were reported. The Osage County storm caused power lines to topple and damaged several buildings and homes, Tulsa’s Channel 6 News reported. This same storm system hit several states as it traveled east, hitting six states and causing catastrophic damage, as well as 44 deaths, according to the Associated Press. The weather service was investigating over 260 tornado reports as a result of the storm. Oklahoma, which has averaged more than 50 tornadoes per year since record-keeping began in 1950, is in the heart of tornado alley. More than 100 Oklahoma schools have already received federal grant money for safe rooms, said the head of the state’s emergency management agency. Federal Emergency Management Agency grants distributed by states can cover 75 percent of the cost of safe rooms, but local schools still must come up with the rest. 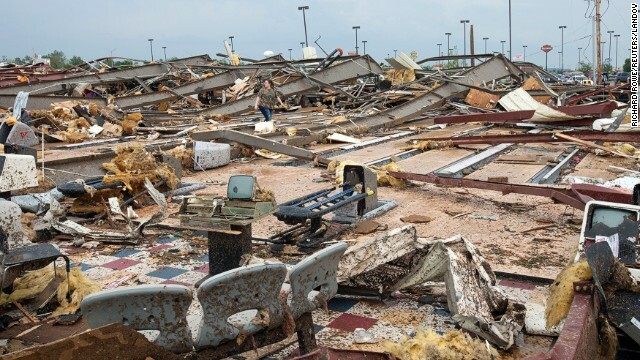 A massive tornado destroyed six schools and badly damaged four others on May 22, 2011, in Joplin, Mo., though none of the buildings was occupied because it was a Sunday. As Joplin began to rebuild, officials decided to put tornado shelters in all 13 of their schools, including those that were not destroyed. All of the shelters will double as gymnasiums. A 14th storm shelter being built at the football stadium will serve as a locker room. All are meant to protect students, staff and the public — remaining open 24 hours a day with space to house up to 15,000 people. Joplin Superintendent C.J. Huff said the above-ground shelters will be built with reinforced steel and specially treated concrete designed to withstand an EF5 tornado like the twisters that hit Joplin and Moore. The bill’s title was written by the bill’s sponsor. S. stands for Senate bill. This bill was introduced on September 20, 2011, in a previous session of Congress, but was not enacted. Senate FinanceThe committee chair determines whether a bill will move past the committee stage. A bill to amend the Internal Revenue Code of 1986 to provide a tax deduction for the purchase, construction, and installation of a safe room or storm shelter, and for other purposes. Read Bill Text »Last updated Sep 20, 2011. POPLARVILLE — Pearl River County Emergency Management Director Danny Manly on Monday told supervisors he is continuing to hunt for ways to morph three approved stand-alone storm shelters, authorized by the Federal Emergency Management Agency, into multi-purpose structures that will save the county money by spreading out maintenace costs and combining the proposed shelters with local construction projects already being planned, such as school cafeterias. FEMA has approved an $8.9 million grant to construct three stand-alone storm shelters, one each in the northern, central and southern parts of the county. Each shelter would cost about $2.9 million and would be constructed to house residents fleeing a major storm, suchas a hurricane, or extreme weather such as tornadoes, for up to 36 hours. Like all federal grants, the money is appropriated on the front end, but expenses accrue for local governments on the back end. After the stand-alone shelters are constructed, the county will face maintenance expenses for them and insurance. With damage done by severe storms at two state fairs last year fresh in memory, the Missouri State Fair staff wants to build some safe places for its guests to take cover. The House Budget Committee has approved a capital improvement package that includes over $86,000 from the Agriculture Protection Fund, toward building four storm shelters on the State Fairgrounds. The 1,500 square foot safe houses would hold up to about 200 people each and be rated to withstand winds up to 250 miles-per-hour. The images of blood covered Moore, OK tornado survivors are forever stained in our minds, or at least until the next natural disaster hits. The stories of children clinging together in hallways at Plaza Towers and Briarwood Elementary, while their teachers hovered over them as human shields to protect against the falling bricks, are heartbreaking. In an area of the country where tornadoes are a frequent threat, why didn’t these schools have a safe room? My image of homes and buildings in tornado ally (based solely on Hollywood movies) is that they are all equipped with bunkers of some sort. I mean, even Dorothy’s family in The Wizard of Oz had a “storm cellar.” Where were their bunkers or safe rooms? Inhofe and Coburn were also two of the eleven Republican senators whose states were most frequently aided by FEMA, and yet opposed legislation to increase funds to the agency when it was running out of cash. Since 2009, Oklahoma has had 56 disasters declared and aided by FEMA. According to Ashwood, safe rooms are a “mitigating measure. It’s not absolute.” However, he said, any safety measure could’ve helped the seven kids who died at Plaza Towers Elementary School. It may not be considered absolute, but I’m sure it unequivocally beats clinging together in a school’s hallway. The Arkansas Department of Emergency Management Mitigation Division recently announced the establishment of a grant program to assist individual homeowners in financing the installing safe rooms in their houses or underground storm shelters on their property. The program will provide a stipend of $1,000 or 50 percent of the total cost (whichever is less) to any Arkansas homeowner installing a safe room or storm shelter in the primary residence after Jan. 21 of this year. The installed safe room will have to meet or exceed specifications outlined in the Federal Emergency Management Agency’s publication No. 320, “Taking Shelter from the Storm.” If the storm shelter is purchased as a waterproof underground unit, it must meet state, city, and county codes. The program money is funded by the State Hazard Mitigation Fund, which is appropriated by the Arkansas Legislature. Prompted by a deadly February tornado in southern Oklahoma, a state House panel on Tuesday examined ways to increase the number of tornado shelters at mobile home parks. Bowman said he and the [mobile home] park owner looked into building a large underground shelter that holds 75 people, but the cost estimate was nearly $300,000. He said smaller shelters that hold up to 12 people could be strategically placed in the park for about $3,000 each. But Bowman said it would be difficult for residents or park owners to absorb the cost without a rebate or tax incentive. “A lot of small parks can’t afford these shelters,” he said. Oklahoma Emergency Management Director Albert Ashwood said the state implemented grant programs to reimburse residents for a portion of the cost of building shelters after major tornado outbreaks in 1999 and 2003, but those programs have since expired. Ashwood said federal money appropriated to states after emergency declarations cannot be spent on private businesses, like mobile home parks. He said such “mitigation funds” in Oklahoma have been used to build 72 safe rooms in public schools during the last several years. Now, that has to mean that grant money was made available to State Disaster Mitigation Budgets to be Given to Homeowners, Schools, Towns and Cities among others including owners of multiple-dwellings such as apartment buildings – including every single year since somewhere around 1999. But that money was not granted in any appreciable measure compared to the state budgets that received it – which would have to be vast because Washington seems to believe that those moneys were available for anyone to have a storm shelter or safe room paid for by the Federal government who wanted or needed one. And yet, – apparently the public cannot find that money available to them in order to use it to put any storm shelter or safe room into anything including their homes, their local schools with hundreds of lives in one location at risk, nor to provide community safe rooms where multiple families could shelter from massive and life-endangering tornadoes that are commonly occurring in their states. That is pretty disgusting too and likely indicates money that could have been available for these storm shelters which was diverted by states or local communities or cities or counties or all of the above to some other purposes than disaster risk mitigation and preparedness. Wonder where he money went? How could there be 1700 schools in Oklahoma or in any other state of tornado alley or in the Dixie tornado alley of the South that have no safe room for their captive audiences of precious lives, both students and educators who sit by the thousands in those structures for year upon year upon year with no measure of safety from a tornado barreling through them. They may as well be standing outside for what some of those buildings fail to offer in protection and safety for human life. The Pre-Disaster Mitigation (PDM) program provides funds to states, territories, Indian tribal governments, communities, and universities for hazard mitigation planning and the implementation of mitigation projects prior to a disaster event. The Fiscal Year 2012 (FY12) Hazard Mitigation Assistance (HMA) application period opened on June 1, 2011. The FY11 and FY12 Hazard Mitigation Assistance Unified Guidance is now available. The FY11 and FY12 Hazard Mitigation Assistance Unified Guidance is available in the FEMA Library. PDM guidance from previous fiscal years can be accessed through the PDM archives. For disasters declared on or after June 1, 2010, please refer to the June 1, 2010 Hazard Mitigation Assistance Unified Guidance. For disasters declared on or after June 1, 2009 and prior to June 1, 2010 please refer to the FY10 Hazard Mitigation Assistance (HMA) Unified Guidance. For disasters declared prior to June 1, 2009, please refer to the HMGP Desk Reference. All levels of Government each have an important, but different, role within the Hazard Mitigation Grant Program (HMGP). For more information, please refer to Roles of the Local Community, State, and FEMA in HMA. The Severe Repetitive Loss (SRL) grant program was authorized by the Bunning-Bereuter-Blumenauer Flood Insurance Reform Act of 2004, which amended the National Flood Insurance Act of 1968 to provide funding to reduce or eliminate the long-term risk of flood damage to severe repetitive loss structures insured under the National Flood Insurance Program. Purpose: To reduce or eliminate claims under the NFIP through project activities that will result in the greatest savings to the National Flood Insurance Fund. Federal / Non-Federal cost share: 75 / 25 %; up to 90 % Federal cost-share funding for projects approved in States, Territories, and Federally-recognized Indian tribes with FEMA-approved Standard or Enhanced Mitigation Plans or Indian tribal plans that include a strategy for mitigating existing and future SRL properties. Benefit-Cost Analysis (BCA) is the method by which the future benefits of a mitigation project are determined and compared to its cost. The end result is a Benefit-Cost Ratio (BCR), which is derived from a project’s total net benefits divided by its total cost. The BCR is a numerical expression of the cost-effectiveness of a project. BCRs of 1.0 or greater have more future benefits than costs, and are therefore considered cost-effective. FEMA can only fund cost-effective mitigation projects. For more information, please see the Benefit-Cost Analysis web page. Technical Assistance for HMA Grant Programs is available for Applicants and subapplicants regarding application development. The Helpline can be reached via phone at (866) 222-3580 or by e-mail at hmagrantshelpline@fema.dhs.gov. The helpline guarantees a 48-hour response time. FEMA has also established Technical Assistance Helplines to provide assistance to Applicants and subapplicants with engineering feasibility and effectiveness; Benefit Cost Analysis (BCA), including BCA software, technical manuals, and other BCA references; and Environmental/Historic Preservation compliance for project subapplications. However, in no case will technical assistance involve conducting a BCA, or reviewing project-specific information for completeness or technical feasibility. The Helplines can be reached via phone at 866-222-3580 or by e-mail as listed below. The Helplines guarantee a 48-hour response time. This means that there is actually help for states and communities to fill out the paperwork, to do the studies in engineering and environmental concerns at our expense as taxpayers and yet either A.) states are not using these which seem unlikely or, B.) they are using them, getting the money and then not appropriating it to the uses of hazard mitigation and storm preparedness measures within the communities in any timely manner. If, as I suspect, the funds are not accessed by grant requests from schools, individual homeowners and communities in the period for which it was given, maybe the states get to use that money in any other way they see fit. That would mean it is not in the states’ legislatures’ and administrations’ interests to actually get the public involved in receiving that money for building storm shelters, safe rooms, warning sirens, extra generators and rescue boats or anything else. If those funds are not used, which obviously they weren’t fully used in many states along tornado alley as evidenced by the number of schools and homes without any tornado protection at all – then it would represent quite an addition to a slush fund to use for balancing budgets or rebuilding golf courses or any damn thing else the state legislators might choose. it would certainly explain a lot, if that is the case but it would be a tragic shame that it has been done that way when lives are at stake. The Federal Emergency Management Agency’s (FEMAs) Mitigation Grant Programs are provided to eligible Applicant States/Tribes/Territories that, in turn, provide sub-grants to local governments. The Applicant selects and prioritizes applications developed and submitted to them by local jurisdictions to submit to FEMA for grant funds. Prospective Sub-applicants should consult the official designated point of contact for their Applicant State/Tribe/Territory for further information regarding specific program and application requirements. The State Hazard Mitigation Officers are listed below. MADISON CO., MS (WLBT) — Two and a half months after the destructive tornadoes ripped across the state, federal grants for “safe room” shelters are now available for residents in 13 different counties affected by the April 24th tornado. The Mississippi Emergency Management Agency (MEMA) is now accepting applications for these grants to help expedite the process. “We hope people take advantage of this opportunity to help protect themselves from future storms.” MEMA Director Mike Womack said in a statement issued by MEMA. This grant money will be issued through the Federal Emergency Management Agency (FEMA). Mississippians who apply for this grant will receive $4,000 dollars in return for their payment on these storm shelters. For more information on how to apply for this grant go to: www.msema.org. FEMA’s Hazard Mitigation Grant Program (HMGP) provides grants to States, local governments, and Indian tribes for long-term hazard mitigation projects following a major disaster declaration. The purpose of the program is to reduce the loss of life and property in future disasters by funding mitigation measures during the recovery phase of a natural disaster. The HMGP is authorized under Section 404 of the Stafford Act. When the President of the U.S. declares a disaster, then a percentage of the funds that the Federal Emergency Management Agency (FEMA) spends for relief and recovery go into a mitigation fund administered by the state in which the disaster occurred. Plus there are other grant programs to help mitigate damages and loss of life during disasters that do not require a specific emergency declaration for those grants to be accessed. On average, more than 1,275 tornadoes have been reported nationwide each year since 1997. From 1950 through 2006, tornadoes have caused 5,506 deaths and 93,287 injuries, as well as devastating personal and property losses. A two-month NBC 5 investigation has found that only a fraction of the hundreds of millions of dollars the federal government has handed out for tornado shelters made it to the Dallas-Fort Worth Metroplex, the biggest metropolitan area in Tornado Alley. The Federal Emergency Management Agency said it has spent more than $540 million helping people install shelters across the country in the last 13 years. FEMA’s Tornado Safe Room Rebate Program will often pay half of the cost of a shelter, up to a maximum of $3,000. But in North Texas, only Tarrant County has received money for building safe rooms in homes. It received about $400,000 to install shelters in about 200 homes. In one case earlier this year, FEMA funded a tornado shelter application in Oklahoma within a few weeks of receiving the final application information from the state, the agency told NBC 5. According to state records, the Panhandle Regional Planning Commission (in Texas) received $4.2 million to install almost 1,700 shelters. After going through an outside wall, a piece of wood can continue to fly through other walls inside a house, meaning that a bathroom or closet may not provide much shelter. The fierce independence of people in areas affected by tornadoes and flooding throughout the Texas and Oklahoma areas was suggested as the reason why people will drive into flood waters, even going around barriers to do so and why people refuse to put storm shelters or safe rooms in their homes and businesses. Nobody is going to tell them what to do – and that means people lose their lives or, as a result of those choices, are permanently maimed from injuries for the rest of their life. If it is fiercely independent and sophisticated to ignore the dangers of weather, ignore warnings of these dangers and refuse to take protective measures, then what can be done to help at all? I have watched in Georgia over the years, people who refused to take railroad crossing barriers as an insistence on not running across those train tracks until the train passed. No, that didn’t apply to them. At every opportunity, they simply went around the barrier even with the train in sight, barreling at them. There was no regard for my life in the car with them, those train barriers simply didn’t apply to them in their estimation and they weren’t going to be told what to do. I’ve watched people take U-turns right in the middle of four-lanes of traffic on busy suburban town streets for the same reason and go through red lights as well or refuse to stop at stop signs for the same reason, nearly wrecking their own lives and the lives of others in the process. But, there is no way to change their minds about it. The government and others are not going to tell them what to do. It is insane. But, in the wake of these extreme weather events, much of the injuries and fatalities are being caused by the same thing. People don’t want their homes to be designed any differently than they ever have been – not in any way, whether it is a change of shape, the addition of a safe room, the addition of hurricane wind resistant straps, putting the house on stilts or above potential flood waters that could come, or anything else that might be done. And, before the storm surge barreled into the coastal areas of New York City, people weren’t going to be told what to do before that storm either. They refused to believe that a large storm surge was coming , if they didn’t want to believe that and they weren’t going to stay inside their homes during the hurricane force winds, no matter what anyone said about it. In Texas and other areas where substantial flooding has occurred, even as of yesterday in San Antonio – despite the campaign to “turn around, don’t drown” – people still crossed through the barriers into the flood waters on streets to try and run through them in their cars – resulting in two deaths. People there believe that the warnings to keep their cars away from the flooded streets or to go around them, doesn’t apply to them and they won’t be told what to do either. In the process of whatever is causing this application of what it means to be fiercely independent, those choices are yielding massive harms to those who are doing it that way as well as to those around them, to others in their families, to their communities, to their neighbors, to rescuers that then have to come get them out of the mess. It is causing inappropriate and damaging choices among their leadership at their insistence and preventing things from being put in place that could prevent any deaths from occurring during these extreme weather events. The reason that we have stop signs and stop lights, is not to force the submission of the people in America to give up their freedom of choice at each intersection, though it could be interpreted that way using the same thinking of those mentioned above. Those stoplights, traffic laws, rules and stop signs are intended to protect the lives, freedoms and opportunities of all who use the roads. When an accident happens by two or more vehicles entering the intersection from every direction, the lives and future opportunities of everyone involved are permanently changed. What is the value of applying fierce independence and freedom of choice to go through that intersection unsafely ignoring traffic rules, stop lights and stop signs and endangering every other driver there, as well as passengers in the car and every home nearby that could be affected by the wreck on their street? What value is that fierce independence and sophistication applied as an excuse to go through a train crossing barrier as a train is approaching or to get around a flooded street barrier set in place by police to prevent loss of life when passage across that flooded street could result in vehicles being washed away? Where is the principle of freedom and willful choice being applied in this way adding anything of value to the person’s life or those around them when doing things this way? Not only are they endangering themselves, but those around them as well – risking not being there for their own families which will impact them forever and rescuers that must then come and be of help risking their own lives to do so as well? The conductors and engineers on a train don’t deserve to die because someone decided to go around the barrier and then were hit by that train. Their life partners and children don’t deserve to be forced to live without their loved ones because someone decided that train crossing barrier didn’t apply to them. And, those rescuers that ran through the flooded waters on small boats risking their lives yesterday to find not only the vehicles, but the bodies of the occupants as well, didn’t deserve to be maimed or killed doing that to find someone whose choice was to ignore all warnings and apply their fierce independence to choose to run their vehicle through flood waters believing that those warnings and facts about it didn’t apply to them. There were thousands of homes destroyed during the tornadoes in Oklahoma and every person who owns one of those homes, businesses or buildings that were unwilling to do anything different about those structures to insure they would survive a tornado, may have been choosing to apply their fierce independence to choose to do that, refusing to be told what to do ahead of time, but to what good? Not only were their future opportunities and freedoms altered permanently by the destruction of those properties, but their and their families’ and their neighbors lives were endangered, put at risk unnecessarily and in some cases, permanently maimed from injuries sustained as a result. To what good does the application of refusing to be told what to do and being considered “fiercely independent” in these responses to common sense about storms and extreme weather events help anyone? The cost of having a safe room in a school is far less than the loss of life and costs of people, including children being permanently maimed during an extreme weather event for which the school, the community, the city and the county or parish would be liable. Whether that liability is proven directly through payouts on lawsuits or through the indirect costs to the community, city and state to house, feed, provide health service for, deal with the disabilities caused by, deal with the lost productivity and the complete dependence of the individual and the families caused by not taking preventative measures such as safe rooms and improved structural integrity for buildings, the costs of not doing something are extreme and real. These costs represent real dollars that will be spent in the aftermath whether they are considered in the original cost to benefit analysis of building a safe room in every school and home and business and government building or not – except that it is rare in an extreme weather event that only one person will be affected by it and potentially maimed for life. The numbers are massive and in every state of the US, there is a rarity of only a single event per state occurring of any kind of extreme weather, flooding, wildfires, landslides, tornadoes, hurricanes or other damaging event. It is more typical that more than one event per year and sometimes, within the same month occurring in every single state and territory across the US. 1. It is necessary to accept and believe the seriousness of these extreme weather events and their real dangers. 2. It is necessary to accept and believe that something can be done about it to protect life and prevent injuries during in the aftermath of the event AND that there is value in doing so. Beyond that, it is common sense, however – a plan used by one wonderful elderly woman and her family thought it made sense apparently, was to sit in the little bathroom of her home on a stool and hold her little dog knowing that these tornadoes decimate the entire structure into a pile of dust, splintered wood and stripped metal shrapnel without regard for the walls of the bathroom where she would be hiding from it. That, in fact, was not only the choice of planning that she made, but that of many neighbors, families with small children, elderly and otherwise intelligent people in the same community and in other communities throughout the five state areas known as tornado alley. I’m going to sit in the bathroom on a stool while it happens even as those walls, ceiling and floor are being torn into whirling spikes and shards around me sitting there. But, it will be fine – it is the best plan. If I said that, they would be putting me in a place where someone would be taking care of me rather than having my own choices about my well-being. And it would be done because my choices wouldn’t be making one lick of good sense. But there are entire populations across the United States that are doing just that, and who have done just that in Oklahoma last week during the massive tornado events that came through their homes and decimated them. And as they said, from Texas to Oklahoma – it wasn’t their first rodeo – so the facts used to prepare for the safety of those who would eventually be impacted by tornadoes throughout those areas – can only be considered in the same light as the example above – if were me thinking it through that way and choosing to sit in the midst of something known to be that dangerous without making appropriate choices about it ahead of time. My family explained it to me yesterday, that people in these states that are making choices in these ways are exhibiting what they considered to be fierce independence. I have thought about it and disagree – they are exhibiting the same thing it would be called if I were doing it – extreme lack of good sense about the dangers involved with these extreme weather events from tornadoes to floods to hurricanes to storm surges on the coasts. A use of free will and being fiercely independent that makes the choice to ignore all warnings written on and known about pouring lighter fluid directly on a live fire to pour a stream of it on a live fire yields an unhealthy and dangerous choice which is evident when the fire trail follows the stream of lighter fluid back to the person holding it and explodes with fire up across face, hands, hair and clothing. That is a bad use of the application of fierce independence, free will and not being willing to be told what to do. The healthy use of free will and fierce independence in that situation was the choice to have a barbecue, what foods to be cooked that would be enjoyable, inviting others to join or not and what foods to serve with it, what flavors of beer and beverages to have and whether to have a plaid tablecloth on the table or a floral one, and a multitude of similar choices that are safely extensions of personal choice with no dire consequences to the safety or future opportunities and choices of anyone. Those are healthy expressions of freedom of choice and amazingly, many people will extend those expressions to things that are not healthy applications of it – from things like under-cooking food or mishandling it because they won’t be told what to do – to putting the lighter fluid directly on the open flame of a barbecue grill to drinking heavily and then driving to the store to get some more regardless of the dangers involved. It is not an expression of identity to choose to not put a storm shelter or basement in a house. It is an expression of identity to choose a color to paint the walls that is more liked and enjoyed rather than another – or a shape of windows with panes or without – not that those windows be unsafe for anyone to use or to be a danger during storms and high winds. There is no personal expression of good sense to wear flip flops while digging around through debris left from a hurricane, tornado, storm surge or flood – no matter what personal taste and freedom of choice may have enticed the person to do so. It is inappropriate and lacks good sense. And, there is absolutely no good sense in this one – “None of us can do anything about Mother Nature. There is nothing that can be done about that.” Those same people saying that neither live out under trees nor go down to the river in order to get water – obviously mankind has done a multitude of things about Mother Nature including to build structures to live in and plumbing systems to bring water and to carry water to homes in the first place. Mankind has built dams and levees to mitigate flooding and to provide water for fields that otherwise wouldn’t grown anything as well as to make water available to massive populations which otherwise would not be anywhere close to a clean source of water. There are things that can be done ahead of time and most of those are not so expensive as to be out of the reach of these communities and individual homeowners, building owners, businesses and townships. Studies of things that will work have been made from ways to make earthquake resistant buildings, methods for building which are more tolerant of the high winds from hurricanes and tornadoes to the underground building of basements and storm cellars or above ground in home safe rooms. Things are known that will mitigate the degree of damage and offer more safety for human life in building methods, building materials and storm resistant shelters. It is obvious that even as far back as the Aztec empire, it was known that flooding can occur and that the dangers from flooding can be mitigated by building on stilts and heavy timbers above the level of expected flooding. In 2013, why would any of that be so hard for people to understand and apply? P.S. There is nothing fashionable, sophisticated or fiercely independent about ignoring the facts about impending weather events made publicly available from the National Weather Service and a variety of sources including actual weather radar maps in real time and expert meteorologists including those on the Weather Channel. There is nothing fashionable and sophisticated about being dead or permanently maimed and disabled from a storm surge, from flooding, from tornadoes, from hurricane winds or from any other extreme event which certainly can be anticipated and efforts made to be protected from those dangers. 1. There will be extreme weather events. 2. Our homes and buildings do not offer safety during these extreme events. 3. Our infrastructure of bridges, dams, city buildings and transportation resources are in either disrepair or fundamentally flawed (such as using un-reinforced masonry in over 85% of all city buildings). The third item is known by most people and agreement to that fact is there, but many are concerned that the costs are prohibitive to do anything about it. Every home in America that is likely to be subjected to tornadoes, must be built differently in order to withstand it – but until that can be accomplished economically, the only safe measure is to require that every home, business, school and government building have a safe room, underground storm cellar or shelter, basement or above ground storm resistant safe room within the structure of the home or building. It isn’t going to happen however. It isn’t going to be done. No amount of persuasion has made any difference despite the vast number of tornadoes across many areas of the United States with deaths, permanent maiming of people and complete destruction of every structure within the tornado’s path. In areas where flood plains have been used for buildings, homes, industry and even townships, there has been no efforts to remove those to higher ground that have amounted to much more than a few here and there. Despite every evidence to the contrary, it is popular to entertain the idea that it will never flood, and it will never happen. But, it does – and each year, there are devastating stories of those homes, businesses, crops, towns and lives being uprooted and permanently altered by this flooding – both in areas of the floodplains where things have been built and in areas nearby which would have been saved had the flooding been allowed to simply fill those floodplains instead. Storm surges from hurricanes, massive wildfires and extraordinary winds have made extreme events even more dire for vast regions of our nation and yet no changes in building methods, building materials, architectural choices, building codes and reasonable preparation for such events have occurred – simply none of any real substance. Where storm surges from hurricanes have wiped out homes and taken lives, those areas are rebuilt as if that event never occurred and would never occur again – regardless of the facts in defiance of that. Building codes are not being changed to demand that homes on coastal areas be built above the storm surge level, if at all – and building methods which could be utilized to limit the impacts of those storm surges and hurricane force winds are not being utilized. It doesn’t matter what has been shown to work for those areas in re-styling homes and business buildings, the new lower prices of many novel building materials and methods that could be used and the vast number of architects and structural engineers saying that change must happen – it just isn’t making any difference. Developers, individual home owners, building owners, local politicians, decision-makers and contractors are simply continuing to build these things in that same way as always without any change at all. However, I’ve been thinking some about it and putting together a few of the new materials that seem like a promising alternative to retro-fit existing structures before an event and to re-build structures to be safer for future extreme events. The unique structure of Concrete Cloth facilitates ease of installation. Cement mix is trapped in a flexible 3D fabric, backed with a waterproof layer. The fabric can be hung vertically, laid in trenches, or cut and formed into shapes to create a durable layer of concrete, all without the need for molds or mixers. Wet the fabric to activate the cement, and within 24 hours, the product has cured to 80% strength. And another one – after I mention this – many people in America have the idea that there is nothing that can be done about Mother Nature – but that is a lie. Mankind has been doing this about Mother Nature for the entire length of our existence – that is why we live in houses instead of laying out under the trees somewhere. People have invented, designed, innovated, created, engineered and built massive numbers of things to “do something about Mother Nature” from levees and dams to housing structures and buildings such that we can survive and thrive. Conventional production of plastics such as polyethylene and polypropylene is heavily dependent on fossil fuels. The Novomer process reduces the use of these fuels by replacing up to half of the mass of the petroleum-based product with CO2. Capital requirements and operational costs to produce the new polymers closely mirror conventional production costs, and the products demonstrate increased strength and environmental resistance relative to existing polymers. Incorporation into existing formulations results in packaging foams with higher tensile strength and load-bearing capacity, and adhesives and coatings with improved adhesion, cohesive strength, and “weatherabilty” properties, such as UV- and water-resistance. I truly believe that one possibility exists in wrapping buildings with some sort of architectural carbon fiber product with or without a polymer – possibly making an un-reinforced masonry building into one in which the facade would stay in place and possibly withstand extreme wind events such as tornadoes and hurricanes. It could be a possibility for schools and hospitals to have additional material strength to survive these events with an economical upfront cost. I was thinking that I had read once about something like this being used in California on historic buildings that couldn’t be re-built entirely just to be earthquake resistant. Here is little bit about one team that has created that type of architectural fabric for application to historic structures to make them earthquake resistant – could it make buildings wind, tornado and hurricane resistant giving people a better chance of safety? The developers of the material, Lothar Stempniewski and Moritz Urban, have been working for years on a low-cost reinforcement option for buildings in danger from earthquakes, and they are glad to see their product become what they call a “concrete innovation.” The company that is bringing the material out of the lab and into buildings is Italian building materials manufacturer Röfix. They have included the fabric itself, and the plaster for adhering it to walls in the product line. The stiffness and tensile strength of the material are what gives the walls of buildings added resilience during an earthquake, offering added support that should delay or prevent damage in minor earthquakes. Right now the material is designed to applied to the exterior brick or stone walls of buildings, but researchers are currently working on versions for concrete and interior walls. There are other options as well – construction methods of glue and screw could leave fewer surfaces for the wind to take over the structure and some of the other new materials show a lot of promise as well with a reasonable price tag at this point. So why would things simply continue to be done in the same way that is known to have resulted in devastation during these extreme events? What can be done about that? One of the things holding 3D printing back is the material used to print objects. A San Francisco-based company, Emerging Objects, has created new printing materials that aren’t just plastic, but composed of wood, concrete, and even salt. Because the actual idea behind 3D printing isn’t too complex — drip stuff on top of previously dripped stuff — the applications are really only limited by the size of the printer, and the materials used to print. Emerging Objects has developed a wealth of new materials, such as paper (made from recycled newsprint) as well as a printable salt material. The company has also developed a cement polymer that can be reinforced with fiber, which means the objects can be stronger than standard concrete. Some other materials used for printing are nylon — so you can 3D-print your dog some new bones, presumably — acrylic, and wood (which is made from hard and soft recycled wood) which can also be fiber-reinforced in order to provide it with extra strength. As for what Emerging Objects envisions its new materials creating? Buildings, or at the very least, structures within buildings that are cheaper, stronger, and more environmentally friendly than standard construction materials. The mayor of the tornado-devastated town of Moore in Oklahoma has vowed to push for a new law on shelters, after a huge twister there killed at least 24. Glenn Lewis said he would propose an ordinance requiring a reinforced shelter to be built in every new home. Seven of the nine children killed in the tornado on Monday died in a school that did not have a safe room. Mr Lewis said he would propose the ordinance in the next few days and was confident it would pass the six-member city council. The law would require a storm shelter or safe room in all single- and multi-family homes and could be in place in a few months. Can Anything Be Done To Tornado-Proof A House? Linda Wertheimer talks to Professor Andrew Graettinger of the University of Alabama about what can be to strengthen buildings and save lives when tornadoes strike. He was part of a study that looked at the structural impact of the 2011 tornadoes that ripped through Joplin, Mo., and Tuscaloosa, Ala. The tornado that struck Moore, Oklahoma on Monday, May 20, was a powerful and deadly EF4. This list includes the deadliest tornados in U.S. history including a twister that struck Joplin, Mo., in 2011 killing 158 people. What was the biggest tornado? What was the fastest tornado? What was the costliest tornado? Stress helps glass resist damage. By incorporating it into the manufacturing process, Engineers at Corning, Inc., in N.Y., can give a normally fragile material super-strength. Their Gorilla Glass product now forms the screens of more than 1,000 different devices, from smartphones to tablets to televisions. To avoid building flaws into the material, Corning creates large, flat panes of Gorilla Glass mechanically. During the process, the molten glass is suspended by its top edge, leaving it untouched by human hands—or anything else. Despite their stability, these sheets cannot prevent future damage…yet. The next step is to apply stress to the glass, compressing its molecules to strengthen the material and enable it to resist flaws. Cut to appropriate sizes, the unfinished Gorilla Glass then takes a bath in a molten solution of potassium salts. This process leaches small sodium ions out of the glass and replaces them with larger potassium ions. The large particles squeeze the sheet from the outside in, compressing the material. This creates two outer layers squeezing inwards, towards a central layer that balances out the internal forces by pushing back. (etc. – more extensive explanation of why it works included in this article – well worth reading. GENEVA (Thomson Reuters Foundation) – The world is still not doing enough to protect people from disasters and prevent them happening, despite taking steps in the right direction in recent years, senior officials told an international conference in Geneva this week. Kristalina Georgieva, the European Commissioner for aid and crisis response, said “Mother Nature” is “hammering us with much stronger force than before” and “the wake-up call comes from there”. Efforts to reduce the risk of disasters are heading in the right direction, but need to speed up, she said. “The more we spend on preparedness, risk reduction and resilience, the less we will be spending on the response side,” said Geleta. The first building failure in a tornado is typically the roof, which due to wind and relative air pressures is torn off by the storm. “Then the structure loses strength – the roof is a critical structural element to the rest of the building.” Unsupported walls topple, as they did in hundreds of homes and several schools in Moore.